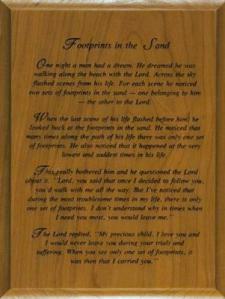 THE FOOTPRINTS POEM is etched into this beautiful wood plaque in black paint. Making it a good that we never have to be alone again if we look to God or our Higher Power for guidance. It measures 6x8. A wonderful gift for yourself or any loved one.